Porsche has created a very special and very limited edition 911 to commemorate 60 years of Porsche Clubs. Porsche is commemorating a special occasion this year, as 2012 marks the 60th year of Porsche Clubs. To mark the milestone, Porsche has created a very special limited edition 911 dubbed the Club Coupe. The Porsche 911 Club Coupe will be produced in a limited run of only 13 units, while 12 will be raffled off to registered Porsche owners. The significance of 13 comes from the number of members in the first Porsche Club, which was founded in May 1952. As a side note, that is four years after the first Porsche model was built. The Porsche 911 Club Coupe features a custom Brewster Green finish, 20-inch SportTechno wheels and exterior package and a Carrera S power upgrade for 430hp. The interior features Espresso leather and Luxor Beige stitching and illuminated door sills with special badging. 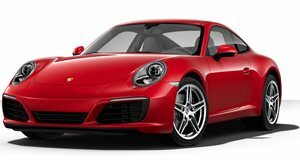 Raffle winners will have the option to buy to the $175,000 Porsche Club Coupe, however with over 640 Clubs in 75 different countries and roughly 181,000 members, Porsche owners would consider themselves lucky to win the chance to spend that kind of coin.